Are you ready for the next great catch? Interactive fishing is our goal! We let the customer determine how involved they want to be in the experience. Some prefer being on the water and reeling the fish in. Others like to bait their own rod, gaff their own fish, etc. Depending skill and desire to be involved, you are included in the experience. Enjoy interactive fishing at it's best. 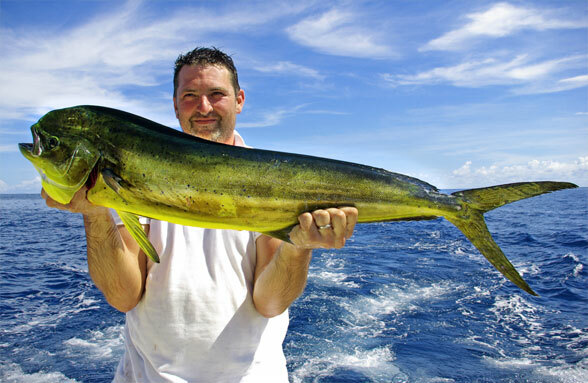 Whether offshore fishing the canyons for marlin and tuna or inshore and Bay fishing for stripers and flounder, Captain Doug Smetana will provide you with an unforgettable fishing experience. Captain Doug holds a U.S.C.G. Master license and a Maryland State Guiding license. The FinRazr, a 2007 31' Cape Horn CC is equipped with all of the latest electronic and safety equipment. Powered by twin 250 hp Yamaha outboards, the FinRazr is ready to run to the deep blue waters of the canyons or make a quick run to one of the many inshore wrecks and reefs. It is located at Sunset Marina, slip D-1, in Ocean City, Maryland. 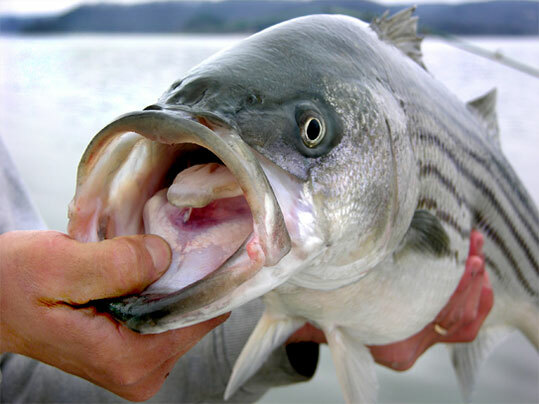 Striper fishing out of Ocean City, Maryland or in the Delaware Bay is available. Determine when the best time to go catch your fish of choice.